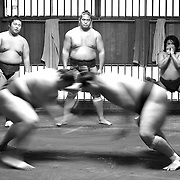 Azumazeki-beya is a stable of sumo wrestlers located at Higashi-Komagata, Sumido, Tokyo. Part of the Takasago group of stables, it was founded in 1986 by Hawaiian born Takamiyama. He was not only the the first foreign born rikishi to win the top division championship (in 1972) but also the first foreign born wrestler to ever take charge of a training stable. The former Takamiyama was succeeded by the current stable master Ushiomaru after reaching the mandatory retirement age of 65 in June 2009. Ushiomaru is also a former rikishi who announced his retirement from active competition in May 2009. His highest rank was maegashira 10. The Hamer people (Also known as Hamar) are a community inhabiting the territory east of the Omo River in south western Ethiopia. Whilst they have villages in Turmi and Dimeka, most live in small clusters of wooden mud huts scattered among the bush covered hills in the area. The official population of Hamer vary and a 2007 national census reported 46,532 people in this ethnic group. They make a living from cattle, goats and other livestock as well as farming. In march 2014, I arranged to stay in a remote small Hamer village about 80 kms from the nearest town. 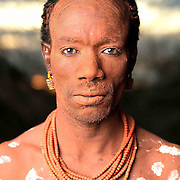 I was very privileged to be the first foreigner to stay with them and also the first photographer to photograph them. Whilst I had planned a 10 day stay, unfortunately my lighting equipment overheated in the extremely hot and dry weather conditions and I had to leave after just 6 days. The first 2 days of my stay were spent sitting quietly under a tree whilst the village discussed my arrival and conditions of acceptance. Once these important customs and formalities were concluded, I was welcomed as a guest. These photographs were taken over just 4 days. It was a unique experience for us all as most of them had never seen camera or lighting equipment ("White heat") before or even a photograph of themselves. For me, these images represent a small part of what the Hamer people are about. In the short time I was there, I experienced the incredible values that they have as a community and learned about some of the traditions that they are fighting hard to keep from the inevitable influence of the outside world. I have never experienced a people who live in such peace and harmony with each other and their land. Printed photographs of these and other portraits I took of the Hamer have been sent back to them in gratitude. Rastafarians of Zion is a collection of portraits by esam hassanyeh about the Rastafarian community that have repatriated to The Promised Land (Shashamane, Ethiopia). In 1948, Emperor Haile Selassie I donated 500 acres of his own land (The Promised Land) to members of the Rastafari movement in order to allow them to repatriate to Africa. Following this, the first West Indian settlers started to arrive for permanent settlement in 1955. in 1974, Emperor Haile Selassie I was overthrown. Since then, the Rastafarian community have endured a complicated and sensitive legacy regarding his land gift. 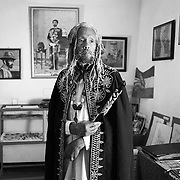 There are an estimated 800 Rastafarians living in Ethiopia today, the majority in Shashamane and a few in Addis Ababa. Whilst Rastafarians strive to live harmoniously amongst the Ethiopian people, ethnic tensions between the countries two largest groups, the Oromo’s and the Amhara’s, have not helped. The land granted by The Emperor Haile Selassie I is located in a region populated by the Oromo people. His Imperial Majesty belonged to the Amhara. To further complicate matters, foreigners are not permitted to own land in Ethiopia. Rastafarians are also not entitled to any special immigration status upon repatriation. Instead, they usually arrive on a tourist visa, then quietly overstay. In addition to immigration issues, there is also a daily visa fine of up to $10. Some Rastafarians reside through correct immigration or official employment. A few marry Ethiopian woman, which entitles them to a passport. However, most Rastafarians are living in Ethiopia without status and limited rights. This means that nearly all Rastafarians who repatriate are unable to leave or travel freely outside of the country without a lengthy administrative process and large financial penalty (Which non can afford). Thus, the reality of life in ‘The Promised Land’ is far from the dreams of repatriation created in books, speeches and reggae songs. Perhaps this is why that after visiting Zion (Shashamane), Bob Marley and many others have not repatriated themselves. Instead, they have subsequently promoted a more symbolic sense of repatriation to The Promised Land. This has frustrated many Rastafarians that have repatriated with their feet and not with words. In April 2014, I spent 11 days in Shashamane meeting with and talking to a number of the Rastafarian community. However, I was only able to photograph just one Rastafarian at the time. I quickly learnt that the community is very sensitive to outsiders and people with camera's. In September 2016, I returned to Shashamane and spent 15 days within the Rastafarian community. This time, I was able to gain more trust. A number of the community graciously allowed me and my camera a brief insight into their daily lives and the stories of how they repatriated. All images taken with a Hasselblad H5D-50c using an 80mm and 50mm lens and Profoto B1 with 3ft Octa. In Hinduism, a sadhu is a religious ascetic or holy person. The word refers to people who have renounced material attachment and left their homes to concentrate on physical and spiritual disciplines. The term sadhu comes from the Sanskrit for "accomplish". The lives of sadhus in India vary considerably. They live in ashrams or temples, on the streets in cities, in huts on the edges of villages or in caves in remote mountains ranges. A sadhu's life is often a perpetual pilgrimage, moving constantly from one town or one holy place, to another. Sadhu's generally take vows of poverty and celibacy and depend on the charity of others for food. They usually have only the possessions they carry with them. These portraits were taken in Varanasi, India.